Yo Fellow heads! Welcome back. 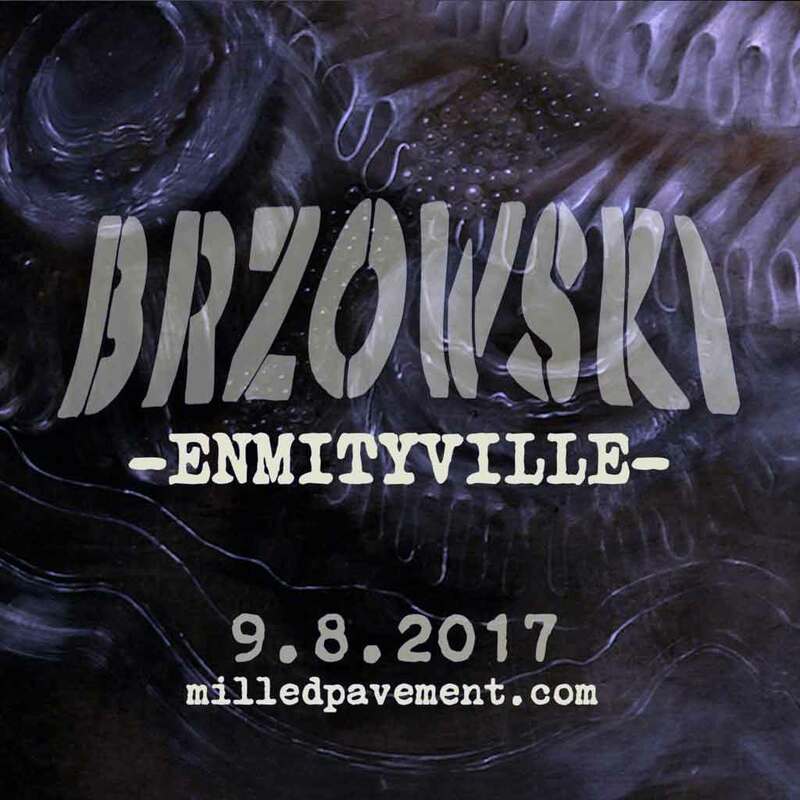 Today I feel like I have something really nice for you guys I have just come across this album by Brzowski which I have given a listen to and I have to say that I think that it is fire, If you have not heard of Brzowski, I highly suggest you check him out. What I also like about this artist and album is that it is definitely something a bit different…. for those who are looking to find that kind of thing for themselves as a little bit of a change. It has a little bit of everything that an avid hip-hop listener might be looking for. 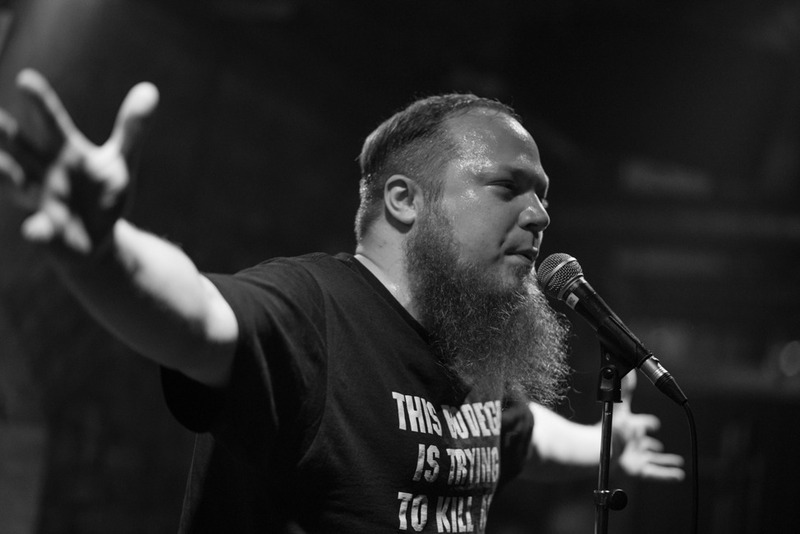 Brzowski has a really great versatility in the flows he spits, with a really nice mixture of content and metaphors to keep you listening and bumping your heads to beats that just add that extra flavor. The “Emnityville” album is definitely worth a listen and not one to be looked over; I listen to A lot of different artists on the daily, but I have to admit I am definitely impressed by what he has done with this album. If I could, I would tell you that I had some favorite tracks but the fact of the matter is this whole album has been added to my favorite’s list! Firstly Brzowski I would like to thank you for taking the time out of your schedule to talk to us and give us a little bit of insight on your work and yourself. I feel like it’s bit of a calling, for me. You don’t set out to make uncompromising non-commercial art without feeling like you have to. Making music has been a part of my life since I was a young teenager, and performing live is my favorite method for delivering the music to people. In terms of writing/recording lyrics, I used to tote a notebook everywhere, but these days I tend to write drafts and ideas down as notes into my phone, and then edit and develop those ideas in a word document. Then I print the page and scratch out a few more words or syllables, and add what’s needed. Constant revision until I hit the record button. Sometimes I write 2 songs in one day, sometimes 1 in a 2 months. There is always plenty of administrative work to do outside creativity, so I don’t force it. Even if you aren’t actively making, you are always thinking about making. Please give us some info on your background? I grew up around Providence RI, then moved to Portland ME in 2001 and have been calling this city home ever since. My 1st band was a punk project, “Pope on a Rope” which lasted from 1994-1998. I’ve been rapping since 1999, solo since 2001. I’m an academically trained visual artist & 90% of my musical knowledge has been self-taught. What would you say is integral in being a hip-hop artist? I don’t really think about it. I think tenacity is essential for anyone trying to make a career in the arts, regardless of medium. Insofar as hiphop, I feel like there are a few important pieces: 1.) Understand and respect the history of the art form, do the homework and realize that if you are a caucasian, you are a guest in the culture. 2.) Realize that making good music is only 30% of the endeavour. I always say “The 5th Element of hip-hop is answering your emails in a timely fashion. What advice would you be able to give to any aspiring heads out there who want to get into the game? Understand your voice/angle as an artist, then find your audience and speak to them. Don’t try to shoot wide and be disappointed that you don’t conquer the world, especially if you have a niche product. Understand that spot and work in the parameters you are capable of occupying. I would also recommend leaving your personal feelings off social media. I’ve seen a lot of folks look foolish blabbing all over the internet when they have a bad professional or personal experience. The oldest songs on ENMITYVILLE are “So I Walk” and “Contemporary Cynic” which were first written in 2015. I wrote these songs as soon as I received the stems from 80HRTZ. I was slowly stacking songs for the album while I was collaborating on the Vinyl Cape, DFAZ, and BRZO+Halo projects….and then in December of 2016 I turned my attention to finishing the album once all the press-cycles and promised roadwork was handled. Then I had freed up headspace and bandwidth for recording the last songs, and adding the final layers before mixing and mastering. Growing up, I’m sure a lot of us had one or two people that influenced us into doing what we do, Did you have anyone like that who got you into the game…like a mentor per say? If so where did you meet and how did this all come along and do you guys ever work together? Insofar as hip-hop, I would say my man S.One from the AMB/ POE/ Nyhilistx crew gave me my 1st primer on left-field hiphop and the finer points of how to use a spray can and construct a poem to be rapped. I met him in the Art Department at Bristol Community College in Fall River,MA. This was around 1999. I would go to the Nyhilistx band-practice space, sketch characters and write rhymes listening to them jam and rehearse. 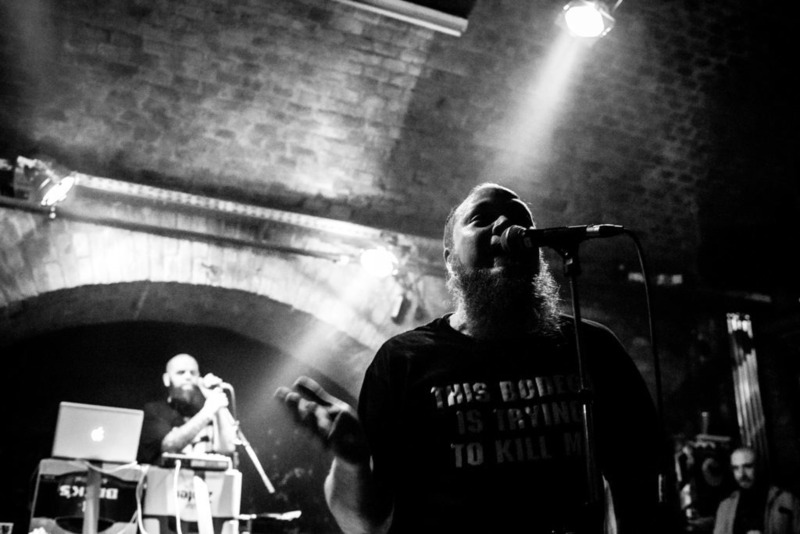 Eventually I weaseled my way onto 2 or 3 songs with them, and then S.One and I formed a duo of proto-prog-rap called Cultural Icons until about 2002. He is the co-owner of Millbilly Art (http://millbillyart.com/) in Fall River,MA. I need to get in touch with him next time I’m down that way….Cultural Icons never broke up as a project, I just moved away and stopped visiting as often, then life moved on. I’d love to make some more songs with him. Shout out to all my Nyhilistx friends, and RIP to Nick Mello a.k.a. Mizerable (one of the funniest people I’ve ever met)….. 80HRTZ played bass in Nyhilistx, and we work together to this day. I’m going to be promoting this album for over a year, 2 new videos rolling out in the coming month. This Fall I have spot shows in TX,KS,VT,ME and a few other random spots, and won’t do any traditional touring until 2018. Then I’ll definitely be hitting the west coast and Europe again, other regions are shaping up as well. I have about 5 new solo songs and 3 Vinyl Cape songs already finished, a ton of guest features and compilation songs dropping….I’m not in a rush anymore. The machine has been rolling so long that the momentum almost does itself and tells me what’s next in line. Do you have a list of your favorite emcees? If so….who are your top 5? Favorite MCs…… Hmmm. I’ll go with top 5 I’ve been listening to in the past week, off the top of my head: Myka 9, billy woods, Bigg Jus, Uncommon Nasa, Ceschi Ramos. What/ who are your major influences? Musically, I’m all over the place with a vast range of interests. I’m probably more influenced by non-fiction books and current-events podcasts than records these days, in terms of lyrics. 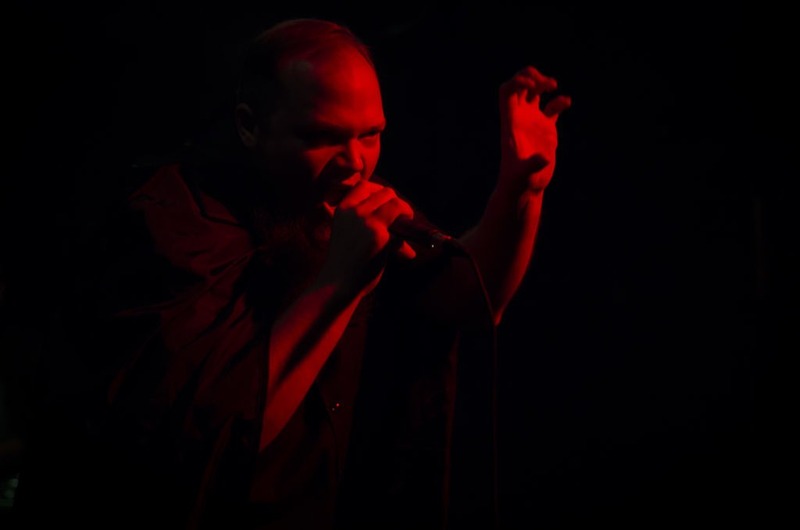 I initially set out in 2005 to make a solo record that was the hip-hop version of Type O Negative’s Bloody Kisses….I’m almost there. I’m primarily interested in allowing influence in from soundtracks, doom-metal and stoner rock, gothic romanticism, and the 1st records that really inspired me to make weirder rap a la Freestyle Fellowship, early Anticon etc.- I’m always trying to fill in holes in my collection. I don’t like a lot of swing on my drums, and tend to like them to sound artificial…. a homage to some of my favorite late 90s/early 00s records. The aesthetics of punk-rock have been something I’ve grafted onto my hiphop work from day 1. Fliers/posters/stickers/artwork/-t-shirts all are very considered and consistent. Moshe and C $ Burns are the only 2 folks I trust to design these things, because they totally understand my wavelength and level of hair-splitting. In terms of looking into a new emcee or listening to one, what would you consider as dope, what aspects of the rhymes do you look for? Thought-provoking lyrics are the absolute non-negotiable Rule #1. As someone who writes, I listen to the lyrics intently. After that I appreciate innovative delivery, or at least delivery with conviction. If it sounds like it’s the 1st time you ever spit this rhyme/lyric on a track, I assume that you have no conviction in your words, or didn’t take the listeners’ attention serious enough. Help make the listener care with your conviction, we appreciate that and want to come along on your bus-ride. I would just like to thank you once again for your time and giving us the chance to take a deeper look into who Brzowski is and what makes him tick. Absolutely my pleasure, I appreciate the opportunity to further unpack some thoughts. Best of luck with your future, Keep spitting that fire man!